Who can really get through a British Christmas without consuming far too many mince pies? 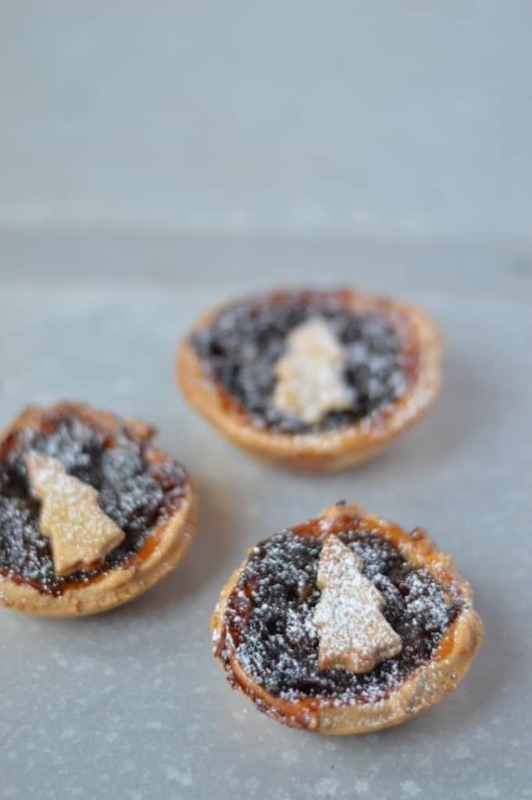 There’s something about these little festive treats that makes even the dreariest of December days a little warmer. Each year my family does a ‘taste test’ – one where we compare all the different shops’ mince pies to see which really are the best. If you’re thinking this sounds like mainly an excuse for eating lots and lots of mince pies you would be entirely correct, but who really cares? It’s Christmas, after all. 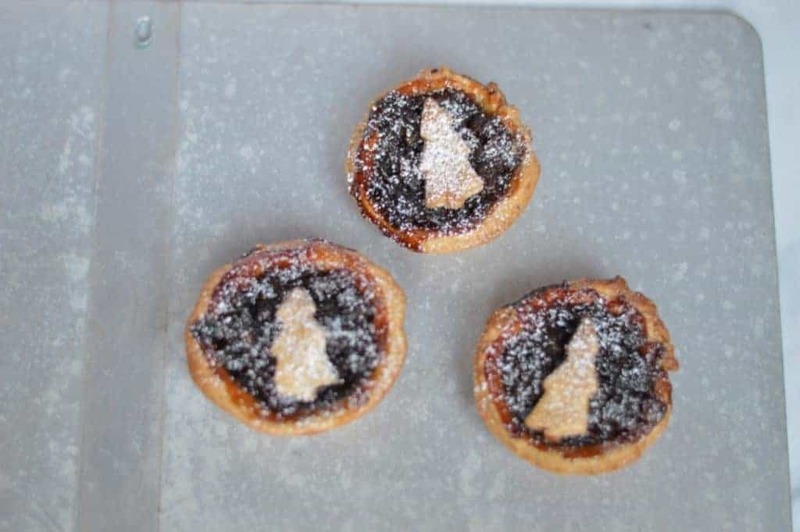 Whilst there is always a vast range of quality in these bought-in mince pies (from memory it was a tie between Lidl and M&S last year), the one sure fire way to beat them all is making them at home. 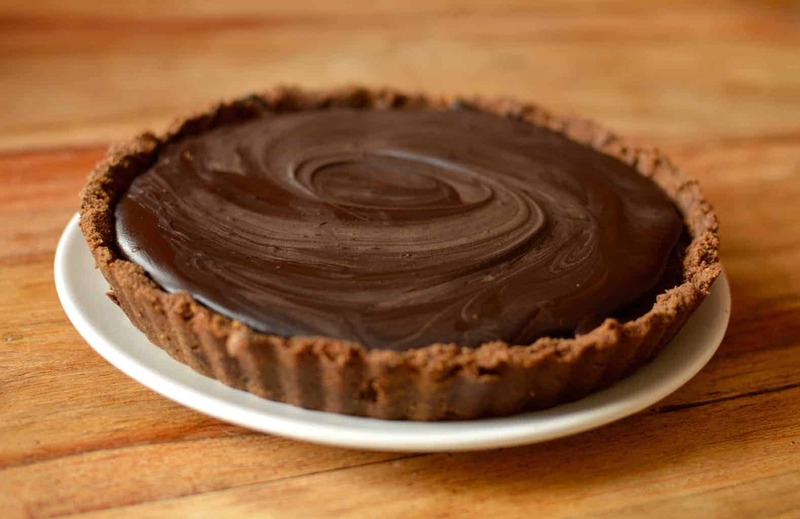 Yes, pastry is a bit of a faff – especially when December is hectic enough already – but when comes down to it, they are just better. This year it seems like I’ve mince pies coming out of my ears (no bad thing), but in my quest to get more homemade goodness into my Christmas I’m making all of mine from scratch. Once you know what you’re doing, the pastry is actually dead simple (I would recommend everyone has one of these handy ‘how to cook everything’ posters on their kitchen wall! It’s a lifesaver) and if you make it in a batch ahead of time then mincemeat is ridiculously easy too. After that it’s just a case of using a cutter and filling them with a spoon. 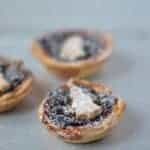 Mince pies are one of the best parts of Christmas snacking, so whether you go for little individual pies or a mincemeat tart to share, remember the main thing is that there’s plenty of mince pie goodness to go around! Need a quick Christmas fix in your life or to take something to share with friends? 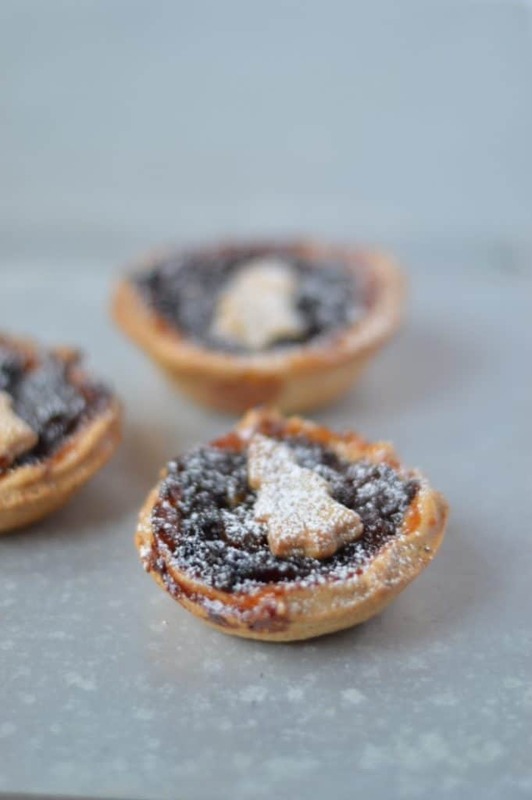 Make some of these easy mince pies using some homemade mincemeat and you’ll be on to a winner. Sift the flour into a large bowl, cube the butter and add it in on top – this is the basis of your pastry. Get your hands into the bowl and push the mixture between your fingers. 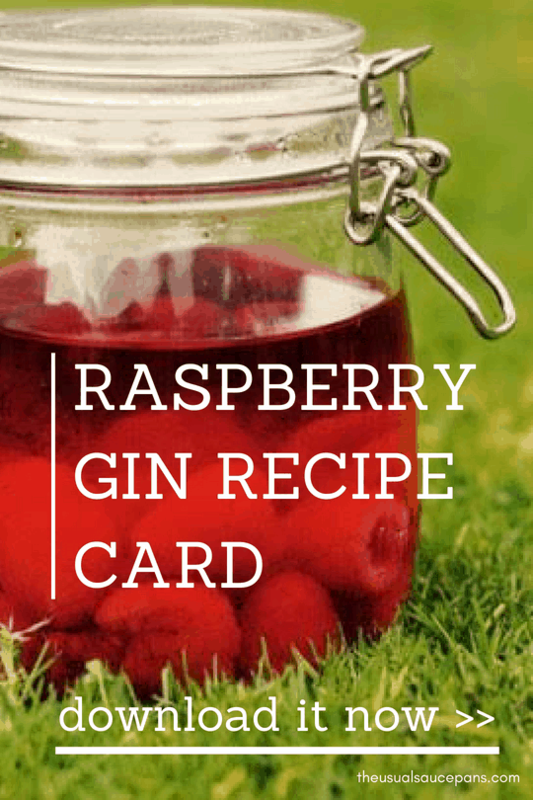 This will mix it together – you’re looking for something similar to the consistency of breadcrumbs. Whisk the egg in a separate bowl and then add it into your flour mix along with the sugar. Mix it all together and into a dough (if you’ve too dry a mixture and it doesn’t come together, add a few teaspoons of cold water). Cover the bowl and put it into the fridge for at least half an hour. Alternatively, use pre-bought and skip this bit. Once the pastry is cold, roll it out on a floured work surface to about the thickness of a pound coin (I use my funky rolling pin). Cut out circles using a round cutter and some little festive shapes as well (I used tree cutters). Lightly grease a cupcake tray and then put the larger circles into the base of each dip. 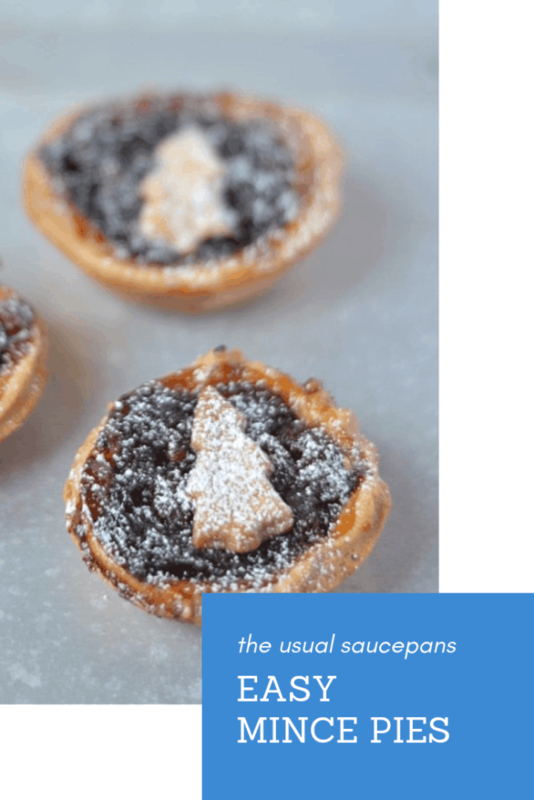 Spoon a generous teaspoon of mincemeat into each case so it fills about 80% of the way up the pastry. Put your shape lid on top. Bake in the oven for about 15 minutes at 180 degrees until the pastry is golden-brown. Start by making the shortcrust pastry. Sift the flour into a large bowl, cube the butter and add it in on top. Get your hands into the bowl and push the mixture through your fingertips until it forms a breadcrumb-like texture. Tip the sugar into the bowl and work through. Whisk the egg separately then add into the bowl. Using a round bladed knife work the egg into the mixture and bring it together into a dough. Wrap in clingfilm and put in the fridge for at least half an hour. Alternatively, unwrap you pre-made pastry. Preheat your oven to 200ºC.